An Instant Family Favorite! Players take on the role of Lords seeking new lands to expand their kingdom. As with ‘Dominoes’, these new lands must match the landscape tiles they touch when played. You need to create large areas of the same landscape type. But these will only score points if they include crowns. Points for each landscape are calculated at the end of the game by multiplying the size of the landscape (number of squares) by the number of crowns they include. The tile selection directs the order of play for the following round, so taking a good tile now could possibly mean you will pick later next time, with less choices. Each round presents the players with new important decisions to make, as to which tile they should take. 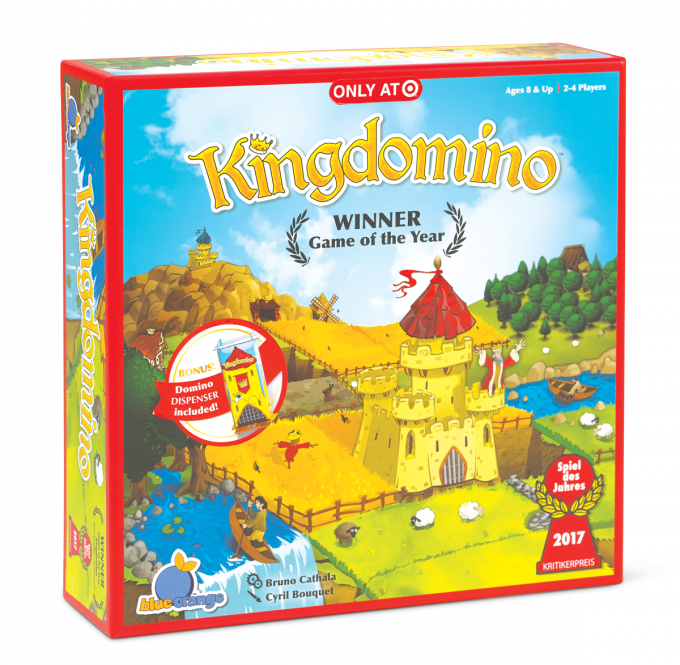 Click here to find the Kingdomino with Special Tower Board Game at Target. Click here to Like Blue Orange Games on Facebook. Click here to Follow Blue Orange Games on Twitter. 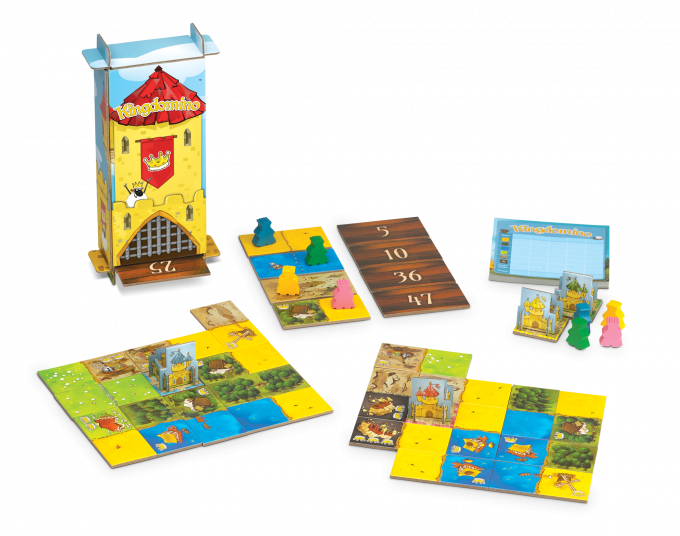 WIN: 24/7 Moms and Blue Orange Games are giving away one Kingdomino with Special Tower Board Game! Enter for a chance to win using the Rafflecopter entry form below. For every entry you do it’s an extra entry to win. US entries only and one entry per person. Winner will be chosen on September 1, 2018. Disclaimer: I have teamed up with Blue Orange Games in support of this campaign. We received compensation for participation in this campaign. However, all thoughts and opinions are my own.